Twin Cities Habitat for Humanity hosts several events throughout the year to increase awareness and raise funds that support our mission. Wouldn’t it be fun to bring together families, sponsors, volunteers, and Twin Cities Habitat staff all together to celebrate a finished home? 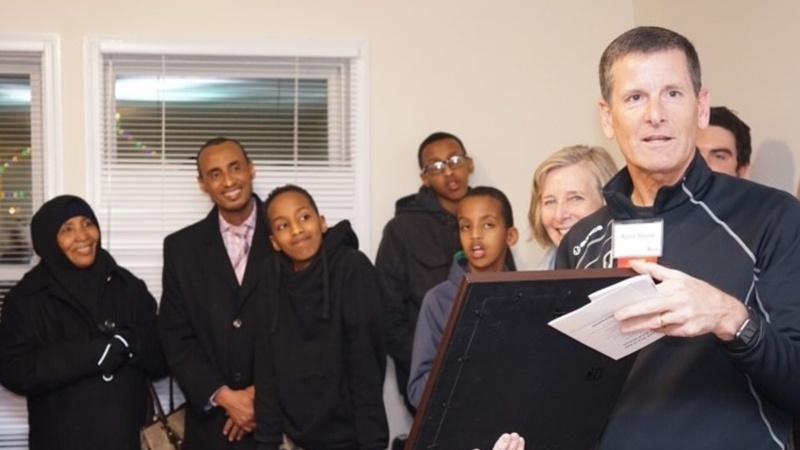 At Twin Cities Habitat for Humanity, we call those celebrations Home Dedications. During the dedication, there is a short program in which the family, sponsors, site supervisor, and volunteers share memories and gratitude for all the support and work involved in building the home. After the program there is time to socialize, eat cake, and tour the home. 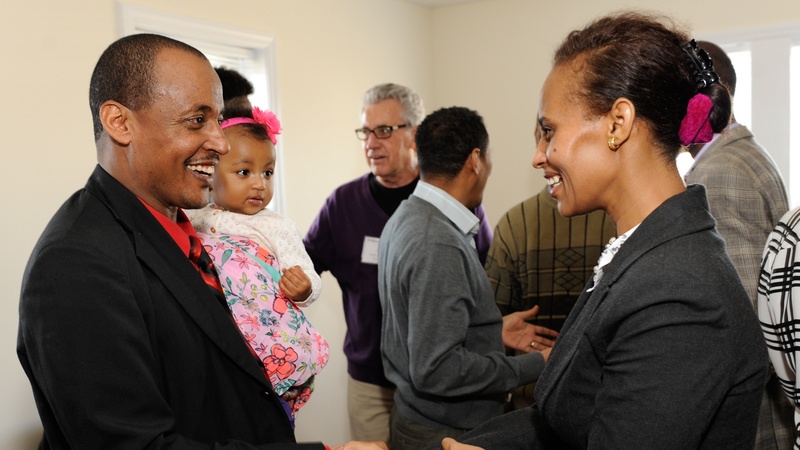 Read stories from recent home dedications. The Dedications Committee is responsible for hosting every dedication that happens at Twin Cities Habitat for Humanity. Committee members do everything from setting up tables, to greeting guests, handing out programs, or emceeing the dedication. 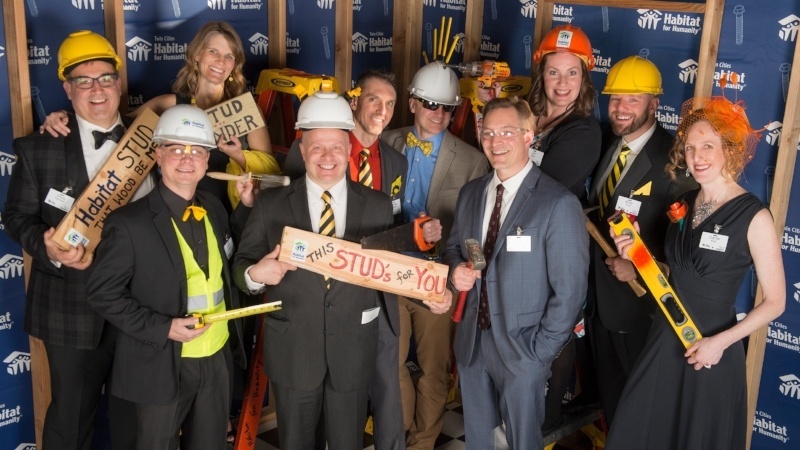 Join us on Saturday, May 4, 2019 at Hilton - Minneapolis for the Hard Hat & Black Tie Gala, Habitat's annual fundraising event that's always "a little less formal, and a lot more fun!" Thank you to everyone who joined us for our 7th annual Women of Habitat Hope Builders Fundraising Luncheon at the Hilton Minneapolis. We are grateful for your support of affordable housing, which will help empower women in our community and improve the lives of their families and children! 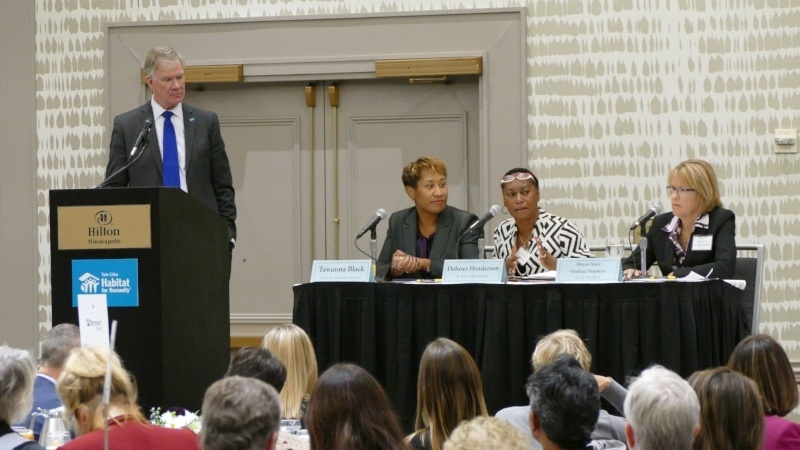 Mark your calendars for this year's luncheon on Tuesday, September 24, 2019! The Raise the Roof Golf Tournament is Twin Cities Habitat for Humanity’s annual outreach and fundraising event which generates support to help families make a brighter future for their children. Join us as a 2019 Raise the Roof corporate sponsor. 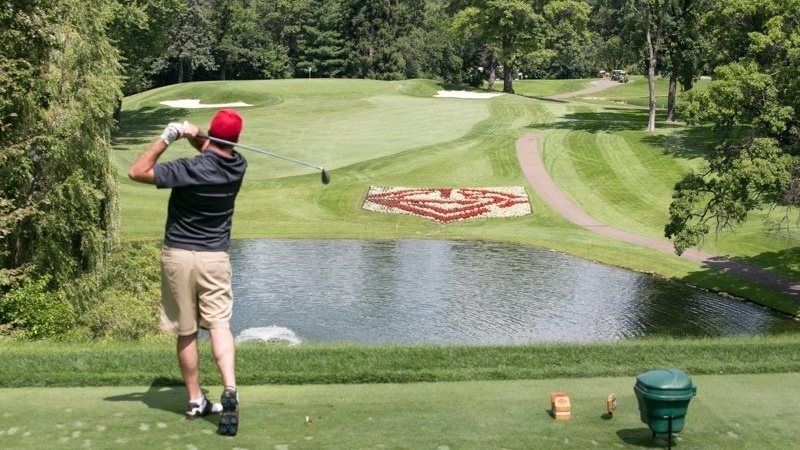 Spend a beautiful day soaking up the sun at the Minneapolis Golf Club with lunch, an afternoon of Scramble play, fun contests, a course full of fabulous auction items, and a delicious dinner. Questions about an upcoming event? Contact us.